CONTACT BODY SMITH FITNESS TODAY! 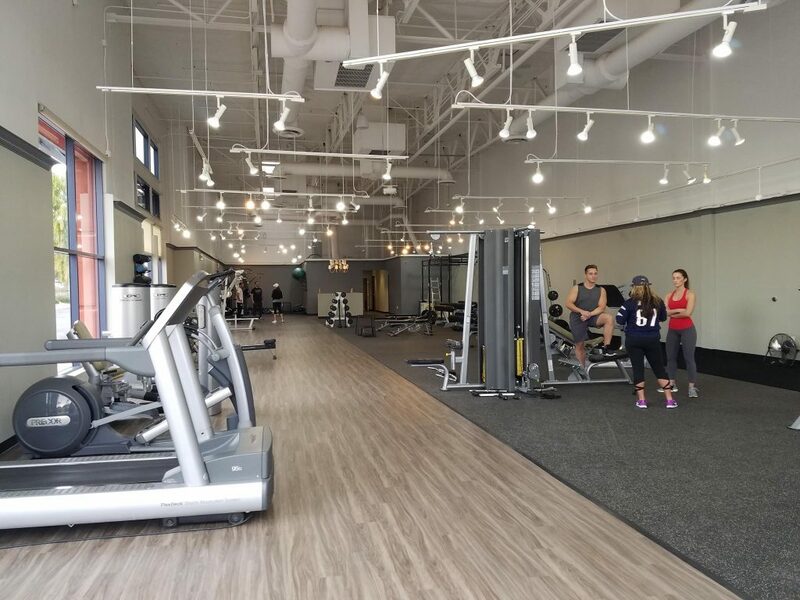 If you’re searching Google for “Personal Trainer“, “Personal Trainer Near Me“, “Personal Training“, “Fitness Training Near Me“, “Fitness Trainer“, or “Gyms With Personal Trainers Near Me” In Chandler, Gilbert, Tempe or Ahwatukee, Arizona, Body Smith Fitness can help! Body Smith Fitness is one of the Best Personal Trainers In Chandler that can help you lose weight, stay fit and live a healthier lifestyle. Choosing Body Smith’s Fitness Training means you have the attention of a certified personal trainer with the knowledge & skills needed to help you achieve your fitness goals. Personal training is the ultimate investment in your life, your health, and yourself. Having an expert who tailors your workouts to your ability level and geared towards your personal fitness goals means getting results. 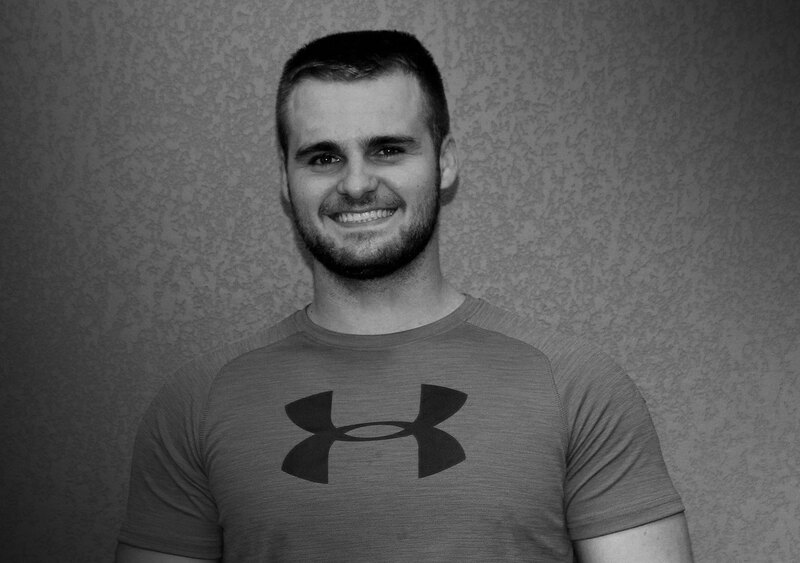 Read more below why we are considered the best personal trainer in Chandler. Personal training workouts with Body Smith Fitness are designed for the individual and structures around you achieving your own personal fitness goals. The combination of anaerobic and aerobic exercises are focused on helping you build muscle, improve health, lose weight and enjoy life. The benefits of personal training include achieving a better mood, gaining more energy, getting a better night’s sleep and can help fight health problems. Each of our customized fitness plans are designed for the individual. We will access your needs and wants and design a custom plan to fit those needs. We also offer discounts when purchasing sessions in bulk. If you would like to try out our personal training courses before purchasing in bulk, we also sell individual sessions as well. When you sign up for fitness training with Body Smith Fitness, we will help design a custom fitness training program just for you. A great fitness training program balances all 5 elements of great health. A great fitness training program includes stretching, flexibility, balance training, core exercises, strength training and aerobic fitness. Clients will achieve their goals more quickly when taking in the right nutrients and doing exercises designed for their individual body type. This is done by creating individualized plans, performing the right workouts, using the right resistance and increasing the training to challenge you. We will help you achieve your muscle building or weight loss goals and attain the body of your dreams. Aerobic fitness, aka cardio, aka aerobic exercise, is one of the most important elements of any fitness training program. Aerobic exercise causes you to breath deeper and faster, which will cause the amount of oxygen in your blood to increase. This will make your heart beat faster and increase blood flow to your from your muscles to your lungs. Aerobic exercise includes physical activities that increase heart rate and use large muscle groups. Types of aerobic exercise include swimming, dancing, biking, jogging, walking, etc. The more aerobic fitness training you do, the easier it will be to complete physical tasks. Interval training involves intense activity for short bursts of time (about 30 seconds) along with 3-4 minutes of lighter activity. Benefits of Aerobic exercise include: Loss of weight, increased stamina, avoid getting sick, reduction health risks, management chronic conditions, strengthening of your heart, keeping your arteries clear, boosting your mood and living longer. Strength training is another important part of a great fitness training program. It can help you increase muscular fitness and bone strength. It can also help you lose weight and increase your ability to perform everyday activities. Strength training should be implemented in your fitness routine at least 2 times per week and focus on all the major muscle groups. At Body Smith Fitness, we use a variation of your own body weight, free weights, resistance machines, resistance bands and more for strength training. Body Smith’s personal trainers can help you build muscle! This means better metabolism, better weight control, higher strength levels, increased stamina, greater endurance and reduced risk of injury. Muscle metabolism is what dictates how the food you eat is process and how well your system uses energy. Having a certified personal trainer means that you will have the guidance to ensure workouts are more effective and that you build healthy muscle. Resistance training is one of the most effective tools for maintaining and increasing LBM (lean body mass). Using resistance muscle building training is proven to help decrease the amount of LBM during weight loss regiments. Maintaining and increasing your LBM is important for having healthy metabolism. When your body’s metabolism is working efficiently it means healthier aging and less likely of chance that you regain the weight after your weight loss program ends. Core exercise is another one of the most important elements to a great fitness training program. Core exercise can tighten up your mid section and allow you to use your lower and upper body muscles more effectively. Core exercises include fitness ball exercises, sit-ups, planks, bridges, etc. Balance training is great for everyone as it can also help stabilize your core muscles. Balancing exercises are great for improve balance as balance usually starts deteriorating with age. Balance training helps older adults maintain their independence and prevent falls. We include flexibility and stretching in all of our physical fitness training programs. Stretching will help increase your flexibility and make it a ton easier for you to perform everyday activities. Stretching is also great for improving your range of motion and can prevent bad posture. Stretching on a regular basis has also been known to relieve tension and stress. Always stretch after you exercise while your muscles are still warm. It is also wise to stretch before working out. Hi, my name is Jeff LaFontsee and I am the personal trainer who’s here for you. When I was younger, I always enjoyed working out and working with my hands. Before I became a personal trainer, I worked as a machinist. While I worked as a machinist, I realized that this wasn’t the life long career for me. So, I went to the National Personal Training Institute and became a certified personal trainer. I want to share my lifelong passion of working out and being active with people who have a desire to be healthy and fit. I want the people I work with to feel good about themselves in their every day lives. Hello moms if you are looking to feel better and finally take care of yourself without too much guilt, then Jeff @BodySmithFitness is the personal trainer for you. I hadn’t worked out in over 20 years and when I found Jeff he helped me overcome my fear of working out and made it super easy for me to begin and gain confidence with my physical abilities and lack of form. I have knee issues and shoulder problems but Jeff was able to work around them and help me build up other muscles and strength to help counter those limitations. My major purpose was to incorporate exercise as part of my routine not an obligation. Jeff has been helping me make working out essential, fun and fulfilling. Thank you so much Jeff. Jeff from Bodysmith Fitness is the best trainer I have had. I was working with someone else for 3months and not only was I not seeing results, they were not willing to flex their hours for me. Jeff was able to train me on schedule that worked with me and my job. Twice a week I was able to train with Jeff and within the first 3 weeks I was able to see significant personal growth. My arms and legs were toned and had definition. Jeff was able to help me with my confidence and push me to higher goals. I am very happy to continue working with him. I highly recommend Jeff at Bodysmith Fitness in Tempe! Jeff from BodySmith Fitness has been training me for nearly a year. I’m approaching 51 years old and I am without a doubt in the best shape of my life. I also run up to 3 half-marathons per year. I attribute my overall physical health, stamina and strength to Jeff and his knowledge of fitness training. He has conformed it to my needs and I get results. I would highly recommended Jeff as your physical fitness trainer. I originally worked with another personal trainer who, while in good shape and knowledgeable about fitness and training, was not very committed to her job and worked a lot of the same things every time i would see her. Jeff has completely taken all of my personal limits and individual body type into consideration while training and i have seen so much more positive change in the 3 months I’ve been with him. i would 10/10 recommend to anyone who would like to improve their fitness, health, and knowledge! To Schedule your personal training in Chandler, fill out our contact form below or give us a call today at (480) 236-3046. 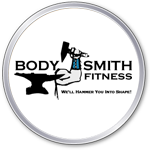 BODY SMITH FITNESS WILL BE IN TOUCH SHORTLY! Read our most frequently asked questions about personal fitness training. 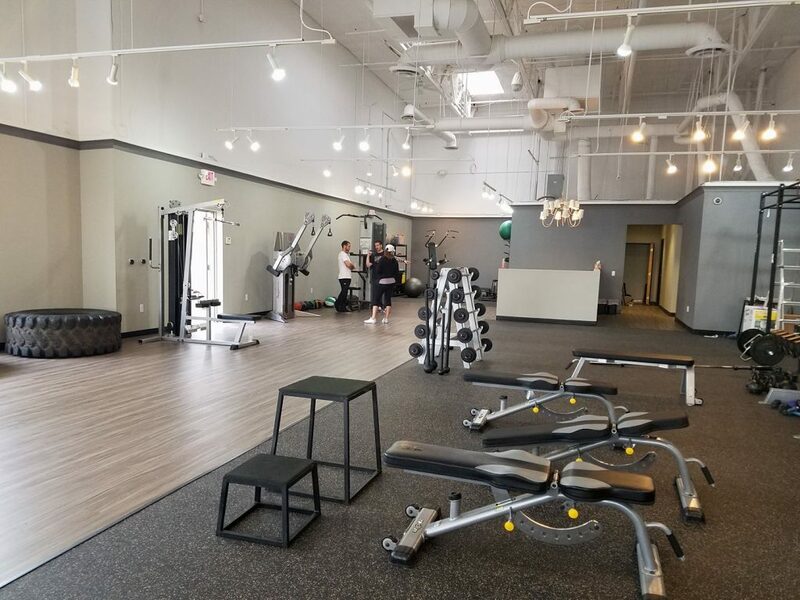 What To Expect At Personal Training Gym? The only way to take your personal fitness goals to the next level is by hiring a certified personal trainer. A personal training session at our gym with help you get the most out of your workout and stay focused on whats most important to meet your goals. Our personal training gym is located near you at 221 E Willis Rd #4Chandler, AZ 85286. By having the right knowledge, tools and motivation, almost anything is possible. A great personal training session includes working hard, pushing your limits and reaching your fitness goals. A personal trainer is an individual that helps you learn how to “train” or “workout” via one-on-one personal training sessions. They are usually certified and have a varying degree of general fitness knowledge in exercise instruction and prescription. Most people get a personal trainer to help build them a workout plan that is customized for their fitness goals. What Should Personal Trainers Do? Learn and increase knowledge of the human anatomy, concepts of exercise, nutrition and principles of exercise science. What Should Personal Trainers Not Do? How Does Nutrition Affect Fitness? Not a lot of people know that nutrition is a very important part of personal fitness training. Your caloric intake effects how much energy you have. We assess whether you’re trying to lose weight or put on mass so that we can design caloric intake plans to fit your specific needs and daily lifestyle. When individuals attain a healthy body mass but still want to put on more mass, your caloric intake will need to be adjusted to give the muscles and body what it needs to achieve greater definition or increase in size. Why Are Macro-nutrients Are Important In Fitness Training? Macro-nutrients are actually very important for your personal training to work effectively. They are the main source of energy that will help your body to achieve better health. Balancing the right protein, healthy fats and carbohydrates is the most important part. Each different type of macro-nutrient has a different role in your overall nutrient intake. Body Smith Fitness will help you understand how to better manage your macro-nutrients and diet to have more energy that you need to live and feel better. Resistance training with Body Smith fitness means increased health and decreased need for pharmaceuticals needed for controlling cardiovascular diseases, diabetes and blood pressure. Yes, absolutely a personal trainer can help you lose weight. Personal trainers help individuals lose weight or body fat by providing advice on exercise and diet. They can customize your workout plans and diet to produce great results. They will teach you a variety of exercises that will keep you more excited about working out. Is a Personal Trainer Worth It For Weight Loss? Yes, a personal trainer is worth it for weight loss if you can’t find the motivation to workout, not sure where to start or don’t have a good diet plan in place. They can also help create a great diet plan that will help you lose weight even faster. How Much Does Personal Training Cost In Chandler, Arizona? The average cost of personal training in Chandler is $45 per session. Hiring a master trainer will cost you about $55 per session.